How to set up quantity restriction for your products? The following article demonstrates how to set up quantity restriction for your products. Many a times you might want to limit the quantity of the products that are bought by the users. Here is how it is done. Lets assume that you wish to sell a Shirt and you want to restrict the minimum quantity to be purchased as 2 and the maximum number of Shirts to be bought as 4. Navigate to the product's article, click on the J2Store cart tab. Enable the Quantity restriction option. 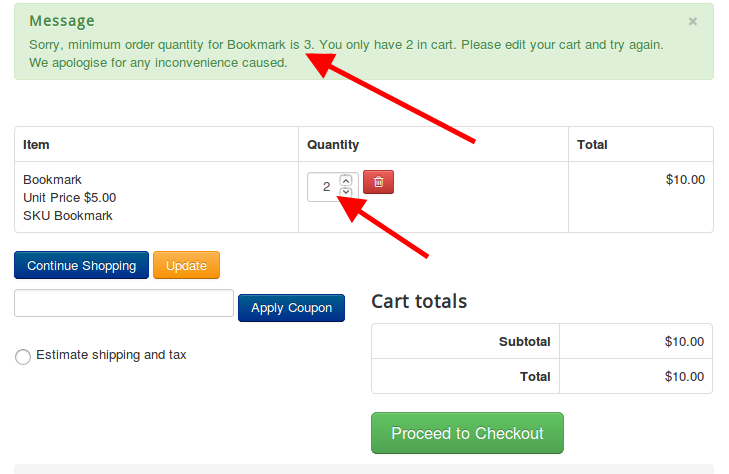 Set the Minimum sale quantity to 2 and the Maximum sale quantity to 4. Save. 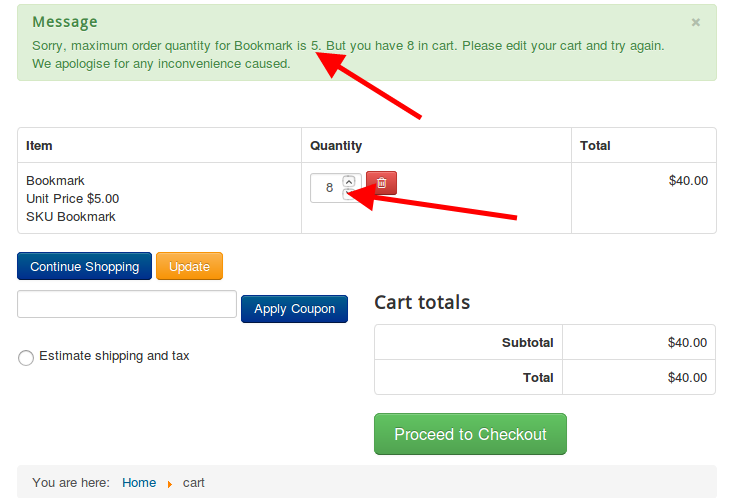 Now when the user tries to change the quantity below or above the mentioned quantity, a warning would be displayed preventing the user from adding the product to the cart. 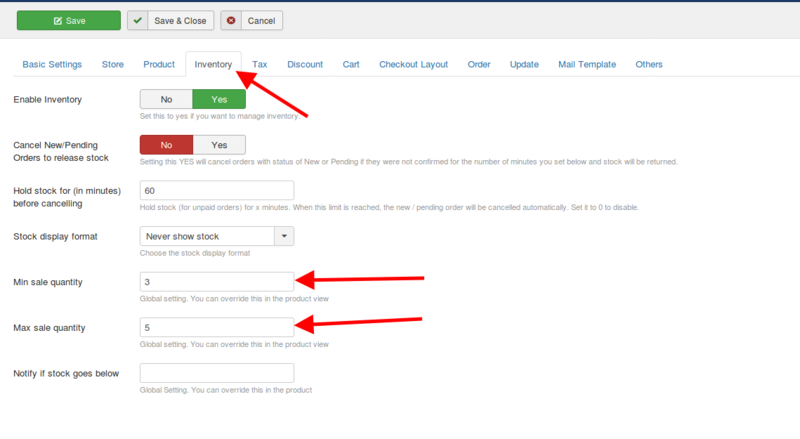 Navigate to J2Store->Setup->Configuration->Inventory->Set the Minimum sale quantity and the Maximum sale quantity. The above setting could be overridden at the product level if there are any requirements. Now for all the products, the above restriction applies. If this has to be overridden, then this could be done at the product level. 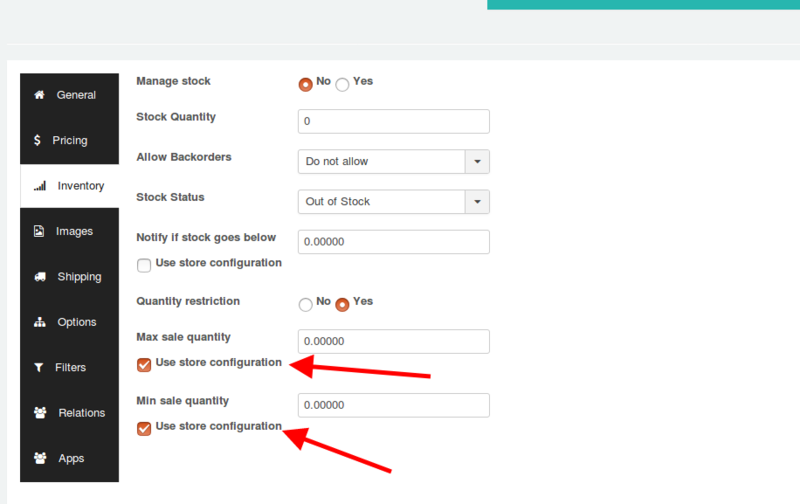 When the minimum and maximum sale quantity is set on the J2Store Global setting and the in the product profile, the above settings are done, the following error would come up when user tries to add more or less quantities than specified in the global settings.